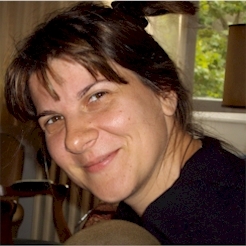 Dr. Ivana Milojević  is research director of Metafuture.org. She is a researcher and an educator with the background in sociology, gender, peace and futures studies. Ivana is also an Adjunct Researcher at The University of the Sunshine Coast;, Australia where she teaches Introduction to Peace and Conflict Studies course. In 2008 and 2009 she was appointed as Visiting Professor at the Centre for Gender Studies, University of Novi Sad, Serbia, to teach a number of short courses including Towards a Knowledge Base for Feminist/Gender Inclusive Futures, Spiritual Ecofeminism and Gender, Peace, Education and World Futures. Dr. Milojević is a member of the World Futures Studies Federation, a member of the Peace Education Commission within International Peace Research Association and a member of newly founded Nonkilling Futures Studies Research Committee (Centre for Global Nonkilling, Honolulu). Moving Forward: Teachers and Students against Racism, (with Allan Luke, Carmen Luke, Martin Mills, and Ray Land), Armadale, Vic. : Eleanor Curtain Publishing (2001). Forthcoming in 2009-2010 is: Imagining a Different Future: Feminine Epistemologies and Politics. Ivana has written extensively in the area of feminist futures contributing chapters in The Knowledge Base of Futures Studies (ed. by Richard Slaughter); World Yearbook of Education 1998 (on Futures Education, ed. by David Hicks and Richard Slaughter); Rescuing the Future: The Futures of Futures Studies (ed. by Ziauddin Sardar); Women and Internet (ed. by Wendy Harcourt); Futures Studies: Methods, Emerging Issues and Civilization Visions: A Multimedia (ed. by Sohail Inayatullah and Paul Wildman); Utopian Thinking in Sociology: Creating the Good Society and Defeating Terrorism/Developing Dreams: Beyond 9/11 and the Iraq War, vol. 1 (both edited by Arthur Shostak), as well as in other books (edited by Sohail Inayatullah and others: for example, The Causal Layered Analysis Reader, Transforming Communication, The University in Transformation, etc.). She has published articles in Futures, Futures Research Quarterly, Journal of Futures Studies and World Futures Studies Federation Bulletin.